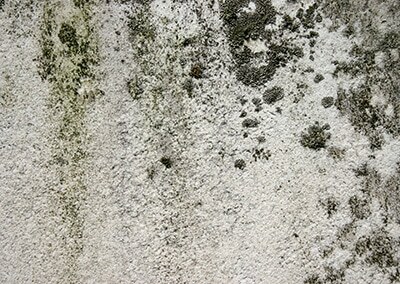 Mold is a common problem which many homeowners in the greater Boston area face. Whenever there is a moist environment in your house, a musty odor, or mold is visible, a mold specialist will help you to prevent future mold and advise on steps for mold remediation. Unfortunately, mold is a problem that many homeowners in the Boston, Lakeville, Cambridge, Shrewsbury, Weymouth, Burlington, and Reading areas are forced to deal with. Mold is the dangerous result when there is excess moisture in the environment. If you discover mold, or smell a musty odor, we strongly advise you call a specialist to assess the problem and help eliminate and prevent future occurrences. We can help you remove the humidity from your basement using waterproofing systems and perform mold remediation services to eliminate any existing mold. Mold is part of natural world and is a very small fungus which grows in places where there is excess moisture and organic material to feed off of. There are over one-hundred types of mold species thriving in the U.S., including the very toxic and dangerous black mold. Black mold is very dangerous to your health (causing respiratory problems, headaches and more). Many people are unaware of the fact that black mold also destroys anything it grows on including the structural soundness of your house. It can break down the wood which frames your house. If you have a damp basement, see mold, or you can smell mildew or musty scent, you very likely have a mold problem that should be inspected. Calling Keller Waterproofing can help you stop the problem before it gets worse, and create a safe, clean environment that is healthy for your family. Keller Waterproofing is an expert of mold remediation and mold removal. Our services are designed for both residential and commercial mold issues. We also want to emphasize the fact that it costs less to deal with mold as soon as you notice it. In addition, consider the fact that as soon as you solve the problem earlier, as less damage it is causing. Inspecting your property for mold will be the first step we will take, followed by a free estimate for the mold remediation services we offer. After the mold removal is completed, we will perform not only physical, but also chemical removal so that the problem is completely solved. Keep in mind that having a solid foundation and an effective waterproofing system is the only way to ensure that your basement stays free of moisture and mold. 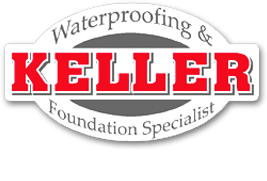 For any questions you have or for setting a free consultation, contact Keller Waterproofing today. Please fill out the form below and one of our mold removal experts will contact you within one business day to discuss how we can help you.